Fierce style is made simple with the CL by Chinese Laundry Leanna heeled bootie. This women’s bootie has an upper made of soft synthetic material with a ruched upper and straps that wrap all the way around the ankle. The side zipper makes them easy to get on and off and the 6 ¾” shaft height easily pairs with a variety of outfits. Inside, you’ll find a lightly padded footbed for all day comfort. The Leanna is finished off with a 2” stacked heel and durable synthetic outsole for traction. 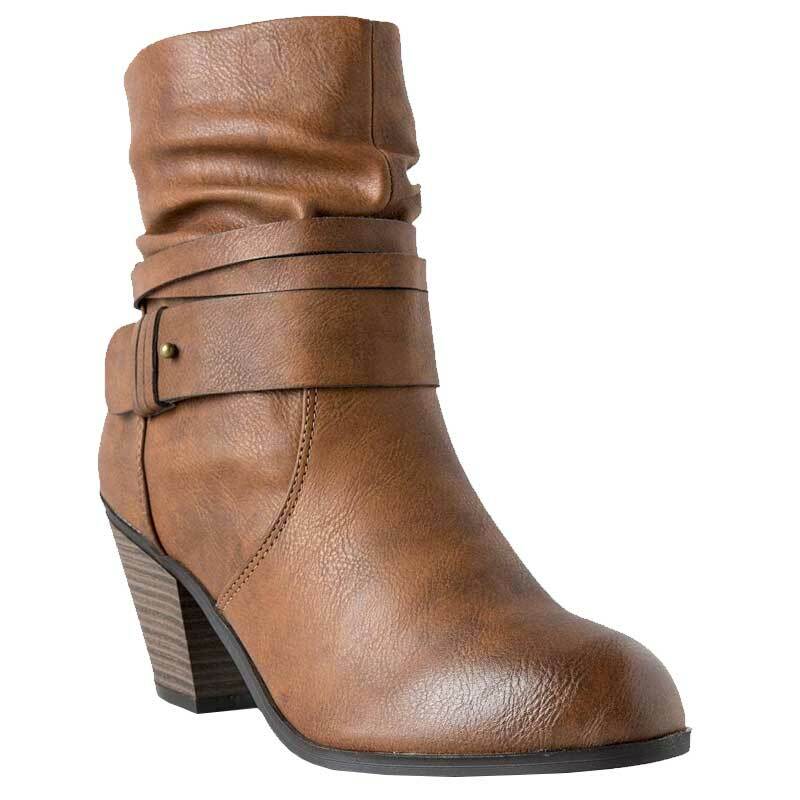 For a day at the office or a night out with the gals, the CL by Chinese Laundry Leanna bootie is the perfect choice.